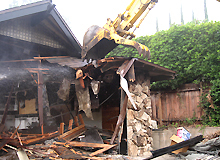 Demolition in Los Angeles is simple and affordable with Deconstruction Pro. We connect to homeowners and business owners that need building demolition, concrete removal, swimming pool removal, or house demolition with reliable and affordable local demolition contractors. 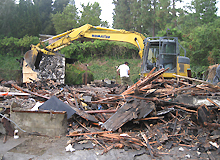 We have been able to offer affordable services and solutions in the following areas: Residential Demolition, Commercial Demolition, Industrial Demolition to name a few. We strive to provide dependable service, good quality work, and competitive prices Deconstruction Pro. 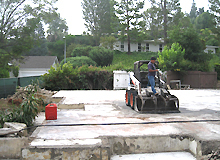 offers prompt, cost effective excavating services for residential and commercial industries. Our team approaches all projects regardless of size, with the same expertise and excellence.